Intelligent medical applications save money and, in some cases, save lives. Proactive health management and self-monitoring are becoming more commonplace as the healthcare industry embraces the Internet of Things with its enormous range of benefits through interconnecting devices, sharing and analysing data. Critical information that can be relayed in real-time to health professionals could make countless cardiac arrests and diabetic seizures totally avoidable. Pressure on services can be significantly reduced and developments in monitoring devices can even pinpoint where patients are not properly medicating or acting on medical advice. The Wireless Body Area Network (WBAN), with sensors and devices implanted within and onto the body, enables an early warning system. Patient data is gathered and analysed so that management of conditions can be optimised and medical emergencies can be avoided. Patients are able to continue more readily with normal activities, safe in the knowledge that the sensors are doing their job. 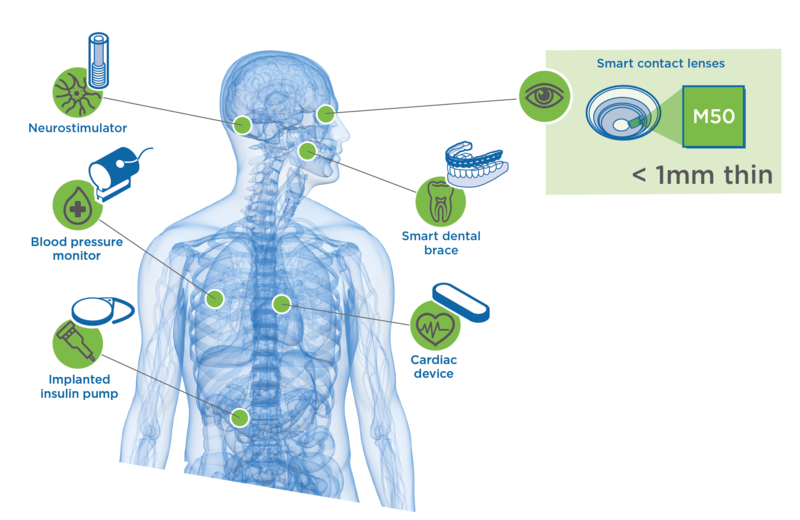 Innovations in wireless communications, low power controllers and sensors can already create a network within the body. However, traditionally batteries have limited advances due to their large size and the stringent safety requirements of implantables and devices worn on the body such as heart monitors or neurostimulators. Devices are in use but can be cumbersome and uncomfortable for the patient. 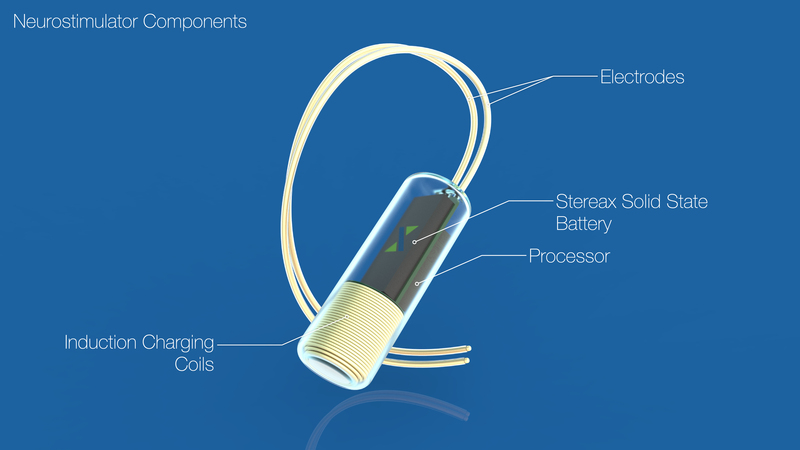 Further challenges in MedTech include the risks of complications, infections or even death when removing an implant due to a battery running flat; extensive packaging is also required to avoid moisture within the body affecting device performance, and the need to maintain the heat of components to a set range. These factors all require more of the technology in use. With the launch of the Stereax M50, Ilika’s smallest solid state battery yet, there are a range of MedTech areas where advances can be made. In the case of medical applications, it is not the case that “one size fits all”. The Stereax M50 is totally flexible in terms of size as well as shape. Second generation MedTech devices can now become much smaller, helped by smaller, denser batteries which can be recharged wirelessly and can even benefit from energy harvesting through small movements and temperature changes within the body. The miniaturisation of solid state batteries from Ilika means that devices which have previously been placed outside of the body, or just outside of the organ, can now be reduced in size and sited within the organ itself with no cumbersome wires required. Let’s explore some areas where emerging technologies can now advance into more mainstream medical applications using ultra-thin, biocompatible Stereax M50 batteries. Early warning pressure sensors are sited within the lungs to monitor blood pressure in the arteries, sending data which would give early warning signals to avert a cardiac arrest or heart failure. Rising pressure in the arteries can happen several months ahead of crisis point, with an alert sent to a doctor or to a self-monitoring patient meaning that corrective action can be taken and a serious condition isn’t left to deteriorate. Currently cardiac monitoring devices are relatively bulky and so need to be located outside the heart with leads passed through holes created to feed the wires into the heart. When a battery needs changing, further surgery is required for the device to be removed and, as the same holes cannot be reused, new openings need to be formed for the replacement device and leads to be fitted. Thankfully, with the miniaturization of biocompatible battery technology, next generation devices are much smaller in size and so can be fitted directly onto the heart. Additionally, long battery life, with wireless recharging also possible, making intervention much less frequent. Incredible improvements to a patient’s health can be achieved with a neurostimulator, including significantly reducing the muscle tremors associated with Parkinson’s disease, treating anxiety, alleviating depression, reducing the pain of rheumatoid arthritis, rebalancing OCD, and easing many more life-affecting conditions. The neurostimulator sends impulses to the vagus nerve, which in turn can regulate a wide range of conditions. Currently devices are relatively bulky and in two parts with one part fitted to the base of the spine and one part fitted to the back of the head. Advances in technology mean that devices will be much smaller in size, attached directly to the vagus nerve and with integrated sensors capable of communicating with doctors so that data can be analysed to monitor and improve treatment. We are already seeing the reality of neurostimulators as small as one cubic millimetre, such as that developed by the Draper Laboratory. Also SetPoint Medical are already running a pilot trial using its miniaturised vagus nerve stimulation device for patients suffering from rheumatoid arthritis, as an alternative to drug treatment. An alternative to thumb pricking or patches to monitor glucose levels would be a welcome change for many diabetes patients. 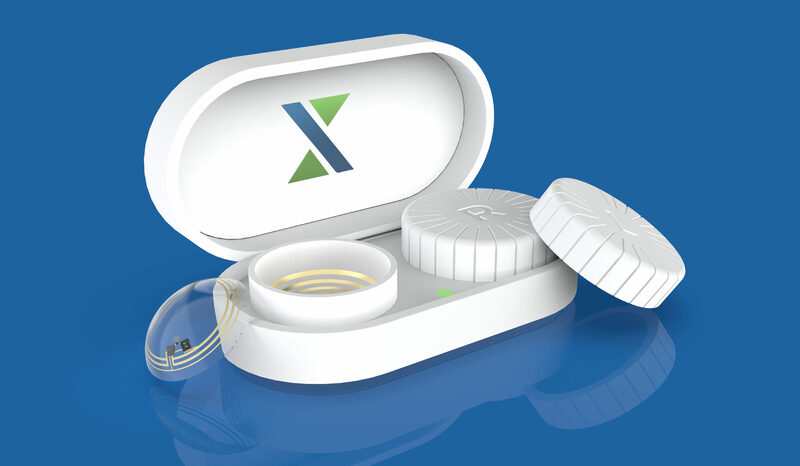 The MedTech industry is working towards battery powered sensor technology so minuscule that it sits inside your contact lens, making self-monitoring of glucose levels totally unobtrusive. Advances in the materials used to make smart contact lenses made by developers such as those at Purdue University mean that they are sufficiently comfortable for the wearer, so glucose monitoring worn in the eye is becoming reality. Dental surgeons working to correct the position of a patient’s teeth would typically make between six and twelve moulds, progressing through braces made to each of these moulds over time (rather than the awful wire kind that are gradually tightened over time). The perfect result is achieved once the patient has completed the allocated timeframe for wearing the brace made to the final mould. In the USA, for example, this is of course all funded by Medicare or a patient’s insurance provider and reaching the end goal within a reasonable timeframe is key. If the teeth aren’t perceived by the patient to be perfect at the end of the treatment, they may feel within their rights to open a law suit against the dentist. But perhaps the dentist isn’t at fault. 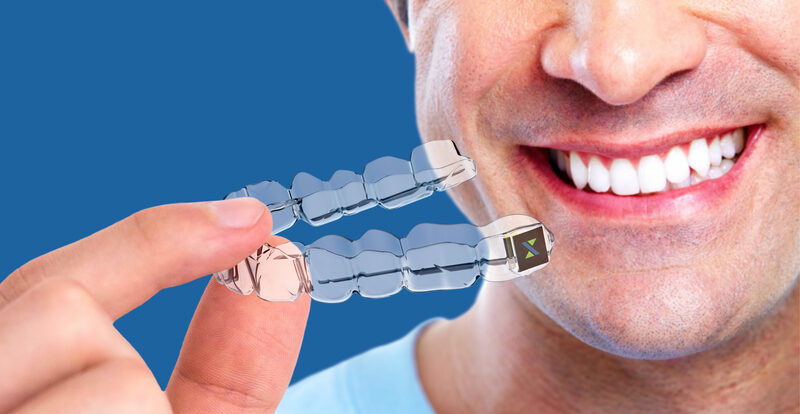 Smart dental braces have minute built in sensors collecting data which can track the movement of the teeth over time, but can also monitor how much the brace has been worn and whether the patient has in fact kept to their prescribed amount of wear. Researchers at the Washington University School of Medicine have proven that a small biosensor and chip can even be inserted into the gum or within dental braces to analyse saliva or gingival crevicular fluid, to flag up early warning signs of disease. These are just some of the medical advances that small form factor technologies can enable, powered by miniature Stereax M50 batteries, scalable to as little as a few mm squared with a thickness of 0.6 mm. The possibilities are endless and likely to include improvements to many more life changing applications such as deep brain stimulators, cochlear implants, gastric stimulators, foot drop implants, insulin pumps and internal cardiac defibrillators.